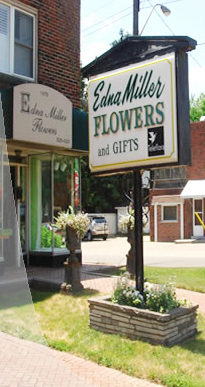 Wedding Flowers - Hamilton, - Edna Miller Flowers & Gifts Inc.
Superior flowers, excellent service and a niche for artistic designs have made Edna Miller Flowers the choice of Hamilton and the surrounding area for over 50 years. Every day our floral menu boasts an array of local and imported flowers, from garden to exotic and tropical. The flower shop is conveniently situated two blocks from McMaster University. Our delivery area includes Burlington, Stoney Creek, Waterdown, Dundas, Ancaster and all of Hamilton. Call or drop by to discuss your ideas for expressing yourself with flowers. To see more of our custom work and wedding designs, please visit us at www.EdnaMillerFlowersHamilton.com!